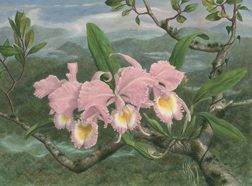 Pastel pleine-aire painting of the sphinx-like guardians of the verdigris gate on Nun St. in downtown Wilmington, NC by Rose Ganucheau. 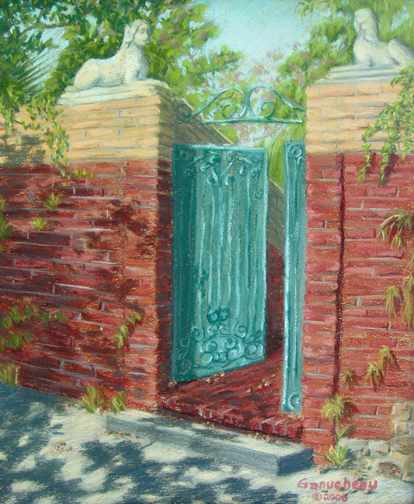 Pastel painting of the verdigris garden gate on Nun St. in Wilmington, NC. The stone sphinxes have heads that look like nuns in habits. It's a beautiful gate, and I often wonder about the garden behind it.